Jesus was in the middle of a discussion of who could and who could not get into heaven. He had just given an example of a rich man having a very hard time getting into heaven. When they all heard him teach this saying, they began to panic, and asked him, basically, if a rich person can not make it into heaven, it is impossible for us. How can anyone get into heaven; what can we do to get into heaven. Then we hear the most astounding thing I have ever learned about Jesus and God. He says that we can do nothing, for it is impossible for man. This is a hard saying even now, because it means your behavior is not going to get you close to God. It means your money is not going to get close to God. It means you can do NOTHING to get close to God. 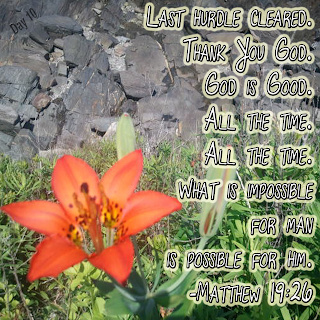 Jesus then says, for God, anything is possible. You have to surrender your life to God, and he will rescue you. Only he can, and Jesus says to us here, that he will. It easy to apply this same saying to your daily life as well. Over and over Jesus tells us that if we dedicate our lives to God, he will make it turn out alright. He promises us. This is another such promise. 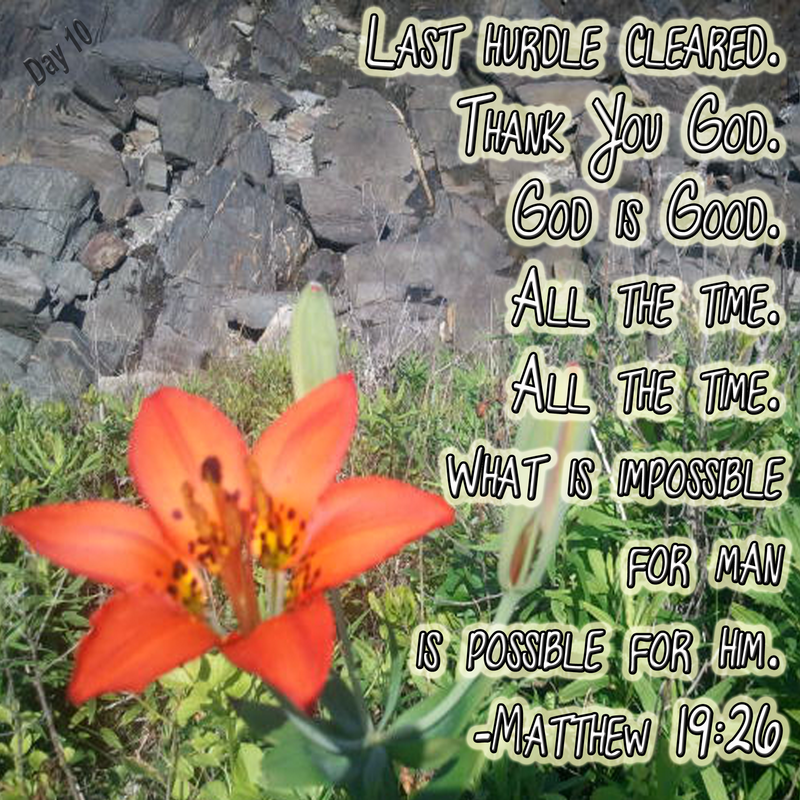 All things are possible to God. God really does care about your life. Here and now and forever. All the Glory goes to God, and if it does, he is right there beside you. Always. For information on be certain of your Status with God, overcoming your actions that keep you from God, and allowing you to accept his free gift of eternal life, Click Here.